I really did pour honey and cut ginger for this photo. It gets real. I was laying in bed doing my usual early AM social media scroll. This is typically peak lurker time, so I never really find myself getting tagged or commenting so early in the morning. But when the comment bubble popped up, I checked it out - Christine (@christine.e_85 on IG, fellow naturalista and LA girl) tagged me in a photo from Mielle Organics. Immediately following, I saw an earlybird e-mail from Mielle Organics as well. They. Just. Dropped. The. New. Gel. My product junkie sense went into overdrive. I ordered 2, without even batting an eye. From the moment my order was marked shipped, I stalked the UPS tracking website like a madwoman. And when the package hit my doorstep, my photo setup was already ready - with fresh honey and ginger, of course. After the hoopla died down, I took some time to really work with and study the gel. It was different - not bad at ALL, but just not what I was expecting it to be. Wanna know more about what that means? Keep reading. Want to know both? Watch the video then keep scrolling for more info! Honey: Honey works to condition and soften the hair, while serving as a powerful humectant that prevents dryness by drawing moisture into the hair. Honey also has powerful antioxidant and antibacterial properties as well. Acrylates Copolymer: Light, film-forming hair fixative (for hold). You see them edges tho?! Okay, so let's unpack this gel pump-by-pump. It was not at all what I was expecting - and I mean that in a good way! Right off the bat, I was expecting The Honey & Ginger Styling Gel to be Curl Maker 3.0 - with that gooey, super moist texture. Although they both come in pump bottles, are opaque off-white/liiiiiiight yellow in color, and have pink labels - that's where the similarities end. Where Curl Maker is more custard-y and has bright grapefruit notes, Mielle's Honey & Ginger is less custard and jelly and more creme brûlée. It's slim thick, smooth, and smells like lemon heads (to me #hoodcandy lol). It plays nicely with any of the Mielle moisturizers - it can be used with the White Peony Leave-In for more voluminous results, with the Moisturizing Avocado Hair Milk for a touchable, yet defined hold. But to maximize the Honey & Ginger Styling Gel I recommend combining both the White Peony Leave-In and Moisturizing Avocado Hair Milk to create a super moisturized, shiny, frizz-free ground layer that the gel swoops in and captures. 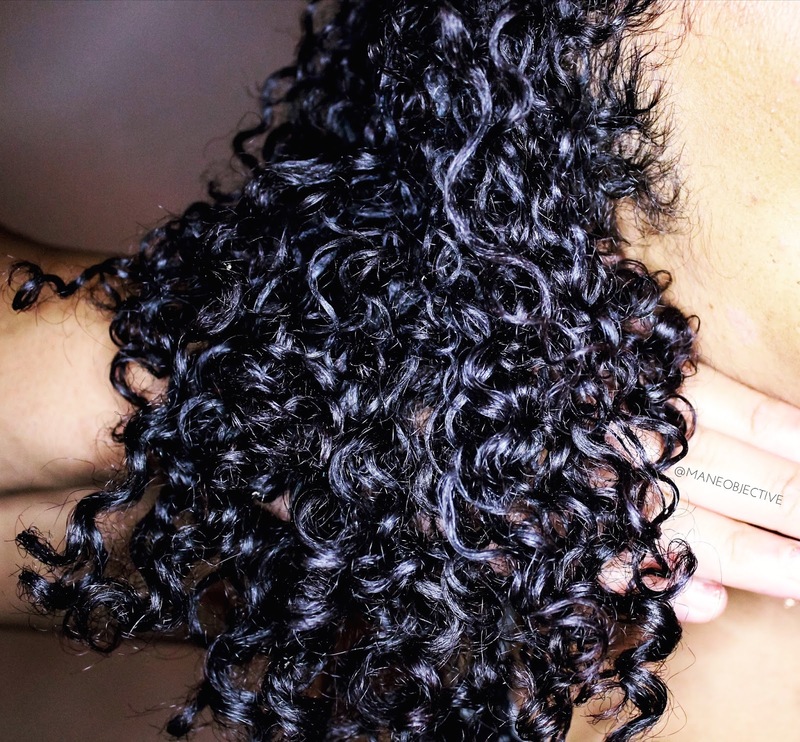 Sometimes, the curls just speak for themselves. 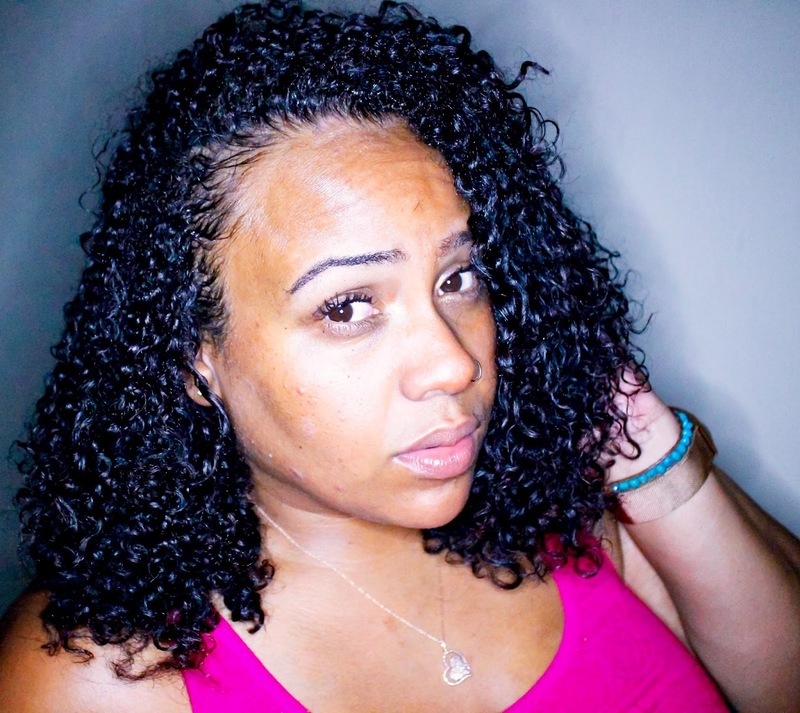 The Honey & Ginger Styling Gel gave me perfectly defined, frizz-free curls on the majority of my curls. The back half and along both sides of my hair were quite literally, flawless. The shine, definition, and smoothness that the Honey & Ginger Styling Gel provides was CLEAR. On day 1, my hair was defined, with a gel cast (but NOTHING like EcoStyler), but still had tons of movement, and a nice touch of volume. My hair felt more soft than crunchy, for sure. No flakes, no funny stuff. All win. I'm LOVING the new gel!!! There was only one drawback to this gel - in my super disrespectful crown area, I had to go back in and reapply more gel after it dried. While the rest of my hair was living in the lap of curl luxury, my crown was looking like "nah." But this is a pretty common thing with most gels - my crown is just real rude, and doesn't care about my feelings. I pretty much have to reapply every gel in that area. Luckily, there was no flaking or trifiling buildup with adding more gel on top of what was already there. Would you believe me if I told you I cut the bottle open to get every last drop out? 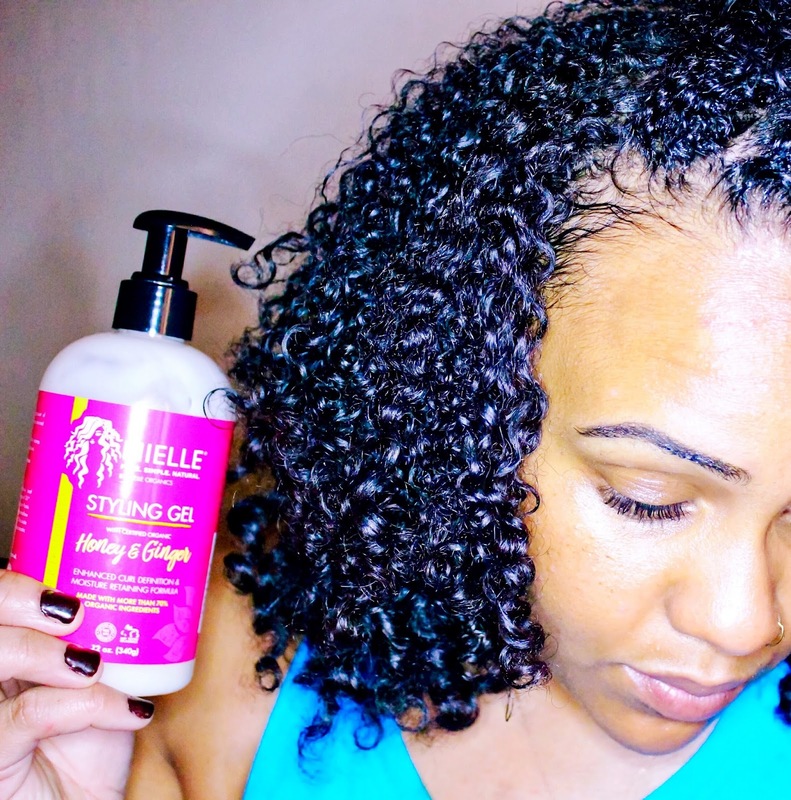 If you're looking for a gel that's creamy but not too thick, with definition that doesn't make Top Ramen jealous, Mielle Organics Honey & Ginger Styling Gel is definitely the way to go. I personally can't wait for the gel to hit shelves - because the performance and price are on point! You guys already know how I feel about the Moisturizing Avocado Hair Milk and Babassu Oil Mint Deep Conditioner. Go'n 'head and throw the Honey & Ginger Styling Gel AND Edge Gel in that mix. They're both THAT bomb! Soon as it hits store shelves! Please don't do me like y'all did when Mielle first dropped in Sally's. I wasted sooooo much gas tryna get my hands on Monique's stuff. Will you be giving the Honey & Ginger Styling Gel a try? Let me know in the comments below! Thank you for sharing your ides here. I will try it on in my hair too.Moreover that I could collect some ideas from your post. What other gel on the market would you compare this gel to? I love it! many gels that i have used usually flake on my hair when it dries. how about this one and flaking?